Hard Water Vs. Soft Water - What's The Difference? Hard Water Vs. Soft Water – What’s The Difference? 2 What is Soft Water? 4.1 Which is Better- Hard Water or Soft Water? 5 How to Test Water Hardness? The water that we call ‘hard’ is actually water that has high mineral content. When water percolates through deposits of chalk and limestone that are made up of magnesium carbonates and calcium, hard water is formed. When you drink such water, you may have some moderate health benefits. However, when it comes to industrial settings, hard water may pose a lot of critical problems. 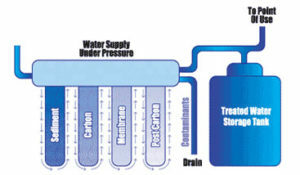 In such environments, water hardness needs to be monitored to avoid costly breakdowns in cooling towers, boilers, and other equipment that is somehow connected to water. In domestic settings, many things can show you have hard water. Formation of limescale in water heaters and kettles, lack of foam formation when using soap, etc. The process that is commonly used to reduce the adverse effects of hard water is water softening. But first, let’s see what soft water is. We use the term ‘soft water’ to indicate water that has low concentrations of ions, in particular ions of magnesium and calcium. Such water naturally occurs where the drainage basin of rivers is formed of impervious, hard, calcium-poor rocks. For example, the Western Highlands in Scotland is one such place. Some people use this term to describe water that has been produced via a water softening process. However, this is not one hundred percent accurate as the right term for this water is softened water. In these cases, the softened water may also contain elevated levels of bicarbonate ions and sodium. Due to the fact that soft water has few calcium ions, no soap scum is formed in regular washing. There is also no inhibition of the soap’s lathering action. Similarly, soft water does not produce calcium deposits in water heating systems. You already know, that water that isn’t soft is considered to be hard water. Depending on the country or state you live in, there are different requirements for the water to be regarded as soft. For example, in the UK, if your water hardness is less than 50 mg/l of calcium carbonate, then you can say you have soft water. Anything more than 50 mg/l of calcium carbonate is regarded as hard water. On the other hand, in the USA, your water should have less than 60 mg/l of calcium carbonate to be classified as ‘soft’. Due to ancient sea beds that had high limestone concentrations, most of the states in the US have hard water, and people often need a water softening treatment. Comparing the two “types of water” might be the easiest way to describe all the differences. Rainwater is naturally soft. Before reaching to your tap, water seeps through the ground and then into our waterways, after being filtered by stones and mineral deposits. It picks minerals like lime, chalk, and mainly calcium and magnesium, and that’s how hard water is created. Many people prefer drinking hard water because of all the essential minerals it has. The flavor is also a significant difference between the two types of water. As soft water tends to taste a bit salty, many prefer hard water. In general, the main difference between hard and soft water can be seen when doing household chores. Dishes with residue and spots, bathtubs with film and soap scrum, dingy looking clothes, are just some of the things hard water is to blame for. Have you ever washed your hair and despite that it still felt sticky and looked dull? Well, you probably have hard water in your house. Another critical thing to consider is your energy bill. Keep in mind that hard water can use up more energy and even take a toll on some of your household appliances. As we already mentioned, soap is less effective because of its reaction to calcium and magnesium. That is also the reason for many of the problems above. It is suitable for everyday drinking. Useful for fighting and preventing certain heart and cardiovascular diseases. It may use up more energy. Most of the chore-doers prefer using soft water as with it tasks are performed more efficiently. Dishes will sparkle, soap will lather better, everything will be clean. Soft water is also good for your skin, which cannot be said for hard water. Another result of using soft water may be a prolonged life of dishwashers, washing machines, water heaters, etc. When you live in a household with soft water, energy bills are also noticeably lower. However, soft water also has some negative features. People with heart or circulatory problems, or such that are on a low sodium diet should not use or drink that type of water. In the softening process, while minerals are removed, the sodium content is added. Many experts claim that soft water is harmful if drank regularly. People who consume soft water daily have increased sodium levels. Sodium is indeed known to be a necessary part of a balanced diet. However, sodium excess increases cardiovascular health problems, such as high blood pressure. Many chemicals are added to hard water to make it soft. For this reason, it is more volatile and easily gains unwanted elements, such as lead, as it flows through the pipes. Point is known to harm blood cells and also the process in which oxygen is carried to our organs, bones, and muscles. Prolonged life of water heaters, washing machines, dishwashers, etc. Can harm blood cells and interfere with the process in which oxygen is carried to our organs. 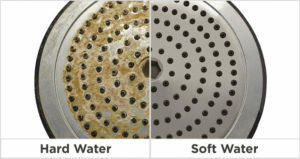 This is the main difference between hard and soft water. Rainwater is naturally soft. However, when it runs through the ground, it picks up many minerals, such as lime, calcium, magnesium, and chalk. In contrast, soft water does not contain all these materials. As soft water does not have all the minerals hard water does, It is not suitable for drinking. Soft water is known to cause many health problems. While hard water is good for drinking, it is a total nightmare when used for cleaning. You will get spots on your dishes, soap scum in the tap and shower, your clothes will be gloomy after going through the washer, and so many other irritating things. For this reason, when it comes to household chores, people prefer to use soft water. Soft water is known to be a ‘skin’s friend’, while hard water will make your hands dry and scaly. Which is Better- Hard Water or Soft Water? In terms of consumption, many experts claim that hard water in far better than soft water. Still, we should not ignore the benefits of soft water. Precisely because of this, many experts suggest using a water softener that has a water bypass valve system. This will allow hard water to flow to some specific areas so that it can be used for drinking and cooking purposes. If not, our team recommends that you use other sources of water, for example, bottled water for drinking. Sometimes, dissolved bicarbonate minerals can cause temporary hardness. When suspended, magnesium bicarbonate and calcium bicarbonate yield magnesium and calcium cations (Mg2+ Ca2+) and bicarbonate and carbonate anions (HCO3− , CO32−). The permanent hardness is caused by chloride and sulfate compounds and cannot be reduced that easily. In contrast, this “temporary” hardness can be reduced either by adding lime through the process of lime softening, or just by boiling the water. 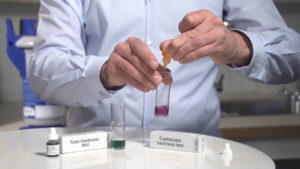 How to Test Water Hardness? You will need one clean, empty plastic bottle that has a cap, and dishwashing liquid. After you remove the cap, fill the bottle about halfway with water. Then add around 5 drops of the dishwashing liquid and start shaking vigorously. The usual thing is to see foam forming. If the foam stays, then your water is soft. However, if the foam quickly dissipates, then you have hard water in your home. 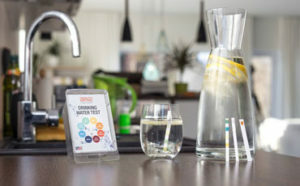 There are many places, even online, where you can get yourself a water test kit. 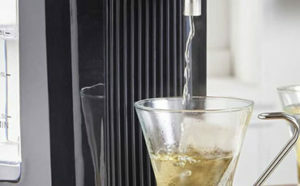 Such a test will indicate the hardness of your water with reasonable accuracy. Firstly you need to do is to fill a vial with the water you want to test. Then you need to add a drop of solution and shake for about 10 seconds. Not before a half inch of suds is sustained, should you stop adding drops and shaking. Each drop used is equivalent to 1 grain of hardness. If you have less than 3 grain of hardness, then your water is at most slightly hard. If you get results higher than 3, then you might want to consider treating the water. The easiest way to understand if you have hard water in your home is to look at your tub or shower. If you have a white mineral scale on your surfaces, then you most surely have hard water. These scales form because of calcium and magnesium, and you need to be careful because the minerals can build up in your home’s pipes and therefore clog them. There are a few things you could do to soften your water. It is only reasonable that the first one is water softener. However, make sure you continue reading because besides the different types of water softeners we want to tell you all the other steps you can undertake to make your water better. If you’re curious about the difference between distilled and purified water, don’t forget to read this article! These are pretty much the classic type of water softeners. They are super popular and are also called Ion Exchange Softeners. As their name hints, this is also the primary process that takes place in there. Keep in mind that when we discuss about water softening, salt is an essential ingredient. You can’t really soften your water, without using salt. For this reason, even though there are salt-free water softeners, their effectiveness goes nowhere near the effectiveness of the other types. 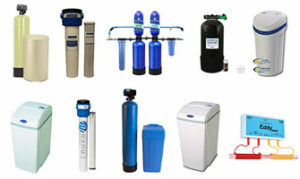 These systems are actually water conditioners, and they don’t really remove anything from your water. Salt-free softeners will also not reduce the hard water minerals. Their primary goal is to make it hard for the minerals to form a buildup and clog your pipes. When it comes to maintenance of faucets, you will probably see some difference and feel some relief. However, they are not precisely softeners. As these softeners come in pairs, you can calmly say they are the ‘big boys’ of water softening. With dual tank water softeners, you get two big iron tanks and a brined one. 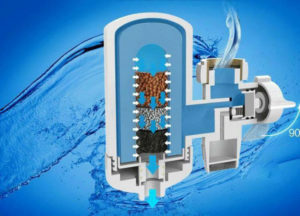 Such a system is a good option only for households with a lot of water consumption, as it can be considered a heavy duty one. This construction will make sure that you have soft water all through the day. When one of the tanks reform, the other one is still fully functional and can provide you processed water. Logically, these systems are way more expensive, however, in the long-term, you will surely enjoy excellent results. This is the most unusual type of softeners. It is not a very popular system, probably because it is considered to be an alternative one. However, don’t get us wrong, this system also has its advantages, the biggest one being a hassle-free service. Magnetic descalers are electrical devices that don’t interfere in any way with your piping system. The most significant part is that there is no installation required, there are no bypass valves, and no plumbing is detached. 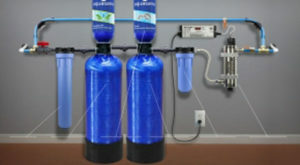 The only things you have are a few wires that you need to coil around your water intake pipes, and voila, you are ready! The plug-in device generates a magnetic field around your pipes. After that, the water reshapes all the properties of its minerals. These softeners, similar to non-salt ones, are not incredibly useful. Still, they will prevent limescale from building up in your water supply system and fixtures. Showerhead filters are just like any other filter system. They use several stages of filtration to eliminate water contaminants. 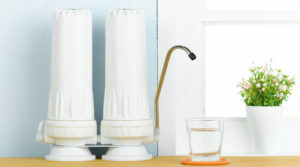 They use multi-level carbon filters that eliminate chloramines, chlorine, and even VOCs in your water. The KDF filters, on the other hand, are made from zinc and copper and affect the chemical structure of some of the elements in your water, such as heavy metals and chlorine. In the process, they also remove them. The vitamin C filters are also a significant advantage these softeners have. These filters are excellent in treating chlorinated water that could be as much as 99 % of chlorine content. We understand that water softeners may be too expensive or even not possible for your home. If that’s true here are some alternative tips you could use to make your situation better. Use an all-purpose cleaner to remove scale buildup. We recommend that you use a squeegee, after a shower or a bath, if you want to remove sitting water. Vinegar is also something you could use to fight to clog. Our team also recommend that you use a detergent that can work with hard water. If you are also curious about the facts of acidic water, be sure to check our post!